Pier 56 started out as Arlington Dock in the late 1800s. Built and owned by a retired ship captain, the dock was destroyed in the Great Seattle Fire of 1889. Then in 1902, the Northern Pacific Railroad came along and constructed three new piers—which included Pier 5 (now 56)—to capitalize on the gold rush. The U.S. government renumbered all the piers at the start of World War II. A member of the E3 Co Restaurant Group family. 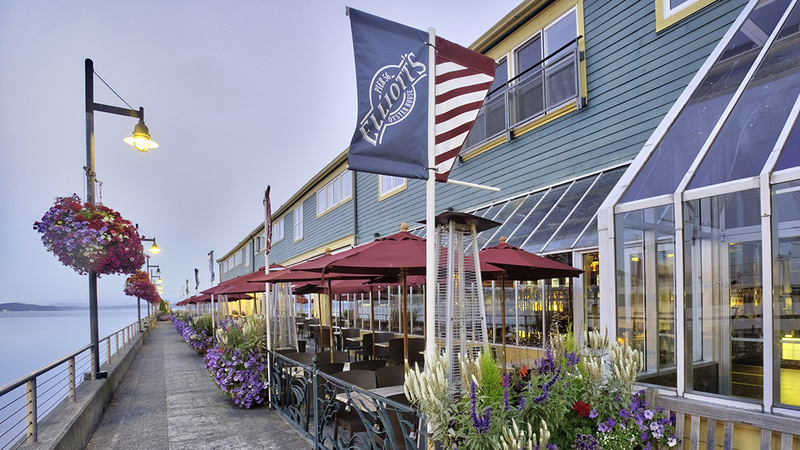 Elliott’s is owned by E3 Co Restaurant Group, founded in 1951 by David Cohn. E3 Co Restaurant Group includes Metropolitan Grill, Wing Dome, Steamer’s Seafood Café and Quincy’s.